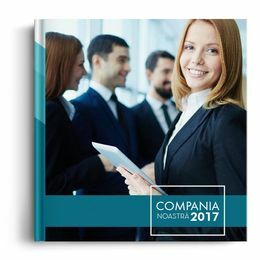 Last year Photobook: Create a photo album to celebrate the best events that have happened last year! Whether it's anniversaries, holidays, first day of school or graduation, your children's school trips or a family vacation, a photobook to capture all these favorite moments is the best gift to offer yourselves as a family, at the end of a great year. Everyday Photobook: Create a simple, minimalist, clean design photo album that will accomodate any day-to-day life event! Either you desire to publish an album containing your memories, a poetry collection or a portfolio with your achievements, the Everyday theme album suits any of these options. Wedding Photobook: Why allow anyone else to decide what is in your wedding photo album? Now it's easier than ever to create your own album. Albumora offers a great variety of wedding photo album themes to choose from, so that you could personalize your memento as you desire. Travel Photobook: You'll definitely want to keep the memory of an unforgettable journey with your family or friends close to your heart. The travel photobook is the ideal solution to reminisce over those moments of relaxation, mountain or sea vacations in your country or in foreign lands. Baby Photobook: The birth of a baby is always a joy. And what better way to keep its memory alive than a photo album? 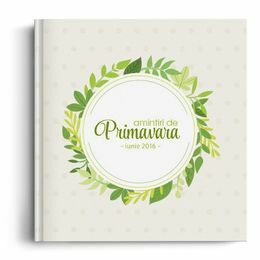 Create unique baby photobooks, which could include: the pregnancy journey, newborn photos, first family photos, baby's christening photos, photos with the baby's home welcoming or first year of life. Family Photobook: Create a unique family photobook to celebrate your family's history, favorite memories, major accomplishments or special traditions. We all know there is nothing more important than one's family. 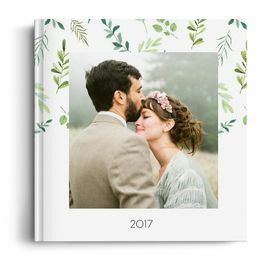 Using Albumora's templates to design your album, honor everything that makes your family unique by capturing in it all your favorite moments. Kids Photobook: Create albums for your children and capture the most important moments of their first year of life, first year of school, an anniversary party or vacation. Designing a photobook containing various events in your kid's life can make a special gift for your loved ones, a gift you can devise with your child. Romantic Photobook: Create a photobook to remind you of all the special moments in your love story! Whether it's about a recent romance or whether you've reached your silver or gold wedding anniversary, such an album can make the perfect present for your loved one, as well as for yourself. School events Photobook: Create photo albums to celebrate your child's journey from his first day of school to college graduation! Offer him or her the chance to reminisce over the best moments spent in school by browsing through a photobook! Holidays Photobook: Create customized photo albums to hold the memories of the holidays celebrated with your loved ones. These special times of the year are usually spent with one's family. Preserve your family's traditions in a personalized photobook. Capture the Christmas tree decorating ritual, sharing gifts, New Year parties, Easter traditions - all these moments that happen when the family is reunited. Sports Photobook: Create a photo album to reflect your passion for sports! Whether you are a team's fan or you practice sports yourself, put together all the memories related to such events that you took part of in this sports theme photobook. Some like mountain climbing, other like to ride their bikes, playing football, dancing or swimming - whichever your favorite activity is, you can now put together all the photos you've collected over the years. Seasons Photobook: Create a customized photo album for each season! Seasons themes offered by Albumora are the perfect way to organize the photos you took during a whole year. Each season brings its distinctive activities, events and traditions. Design your photobook to recollect all these moments!